Everyone loves the fact that they are able to make their Glock 19 look fancy. Whether it is customized slide cuts, new barrels, cerakoting, compensators, etc. There is a large number of different things that you are able to do when it comes to Glocks. When I first started buying Glocks I never really had been interested in the customization of these pistols. I had preferred them to be stock inside and out. It was just a personal preference at the time, and I saw no need to get crazy when it comes to these pistols. This didn’t last long at all though before I knew it I begun to admire the different customizations that people were doing. I had seen a bunch of companies offering different things that they could use when it comes to Glocks. 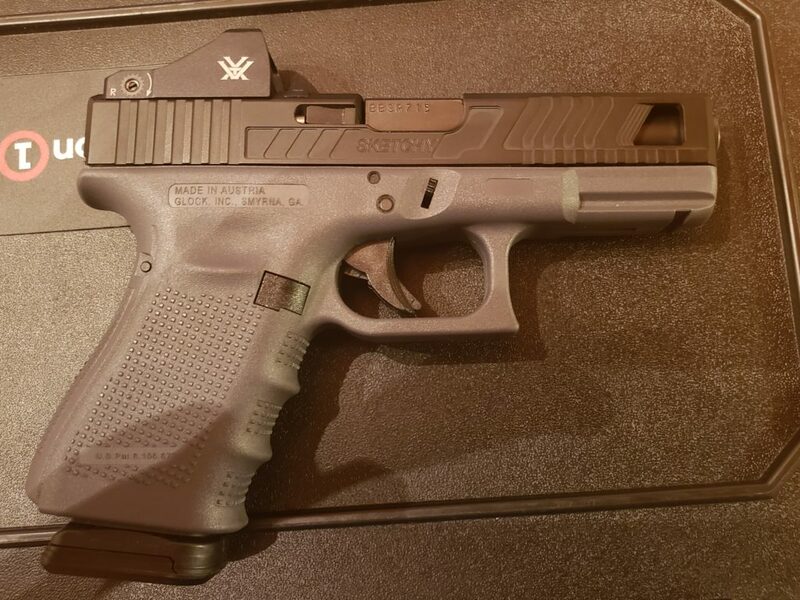 What caught my attention the most was the slide cutting and cerakoting work that had been done from a company out of New Hampshire called United R&D. Over the course of time, I had been following this company on social media, admiring the detailed and talented work that they produce. Taking a look at my updated slide, I noticed that there was a lot of different types of groves that had been cut into the slide. Even though the slide cuts served as a nice treat to the eyes, they did serve a dual purpose to the handling of the pistol. When I had taken the pistol to the range, I had utilized these different cuts over the course of time. When I went to test out how handling the slide would be now, I went through different situations where my hands would be slippery making it harder for me to get a solid grip on the slide. Time after time I was able to maintain a solid grip allowing me to rack the slide back, whenever I had got the chance. Looking into the design of the cut a bit more, there was a window that had been cut into the slide that offered me a look at the front of my barrel. With this in mind, I took into account on whether or not that I would be feeling the heat from the barrel more knowing that the slide had been cut down a bit, and the barrel showing through the window in the front of the slide. 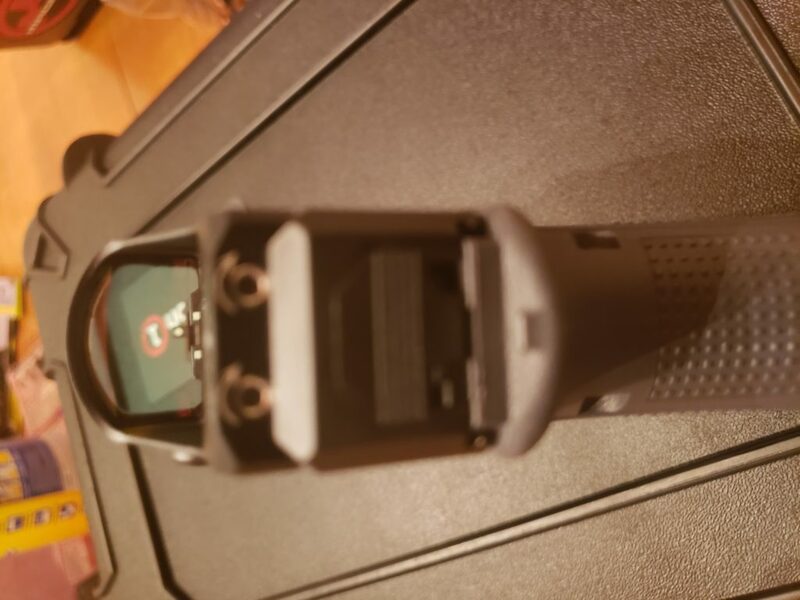 After putting some rounds through the range, I went to check to see that after making sure that the pistol wasn’t loaded. I proceeded to rack the slide to the rear keeping my hand closer to the front of the slide as to feel for any extra heat that may be coming off, figuring out if I was going to burn myself. To my surprise, I didn’t burn my hands, but I could feel the heat coming off the barrel, but I knew that was going to happen since it was open. United R&D offers a lot of different cuts for red dot optics to be placed on the slides. For me the choice was easy, I needed to be able to take this opportunity to be able to slap a Vortex Viper onto my Glock 19. I let United know that this was my optic of choice, and he took good care of the adjustments for being able to put the optic on. Installation was pretty easy when it put it on there were screw posts that he cut into the slide for me that made it easy for installation. 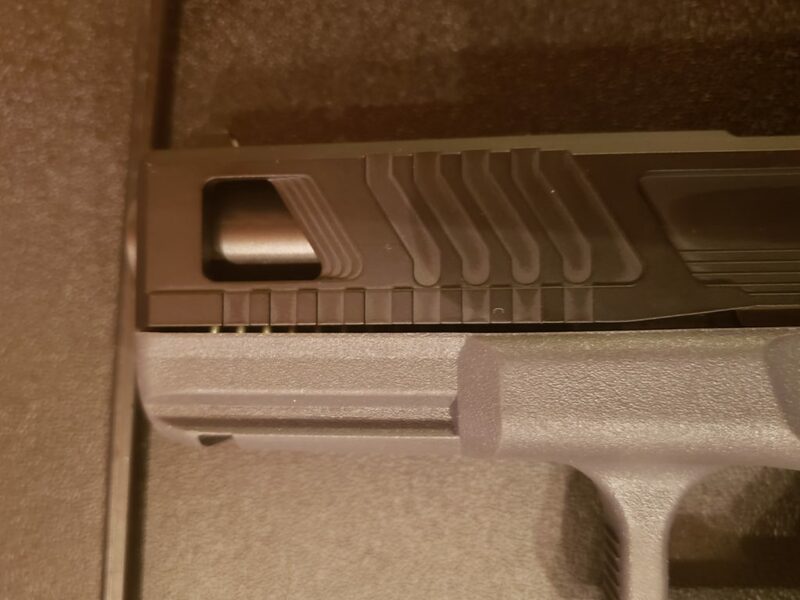 The optic fit pretty snug into my slide, so I made sure to put a little dab of oil on the slide just to make sure it fits in the slot easily. United also included 2 screws that would fit into the optic and posts that easily attached the optic securely. United also does offer another service for those wanting to make their pistol parts look more professional once the slide cut is finished. 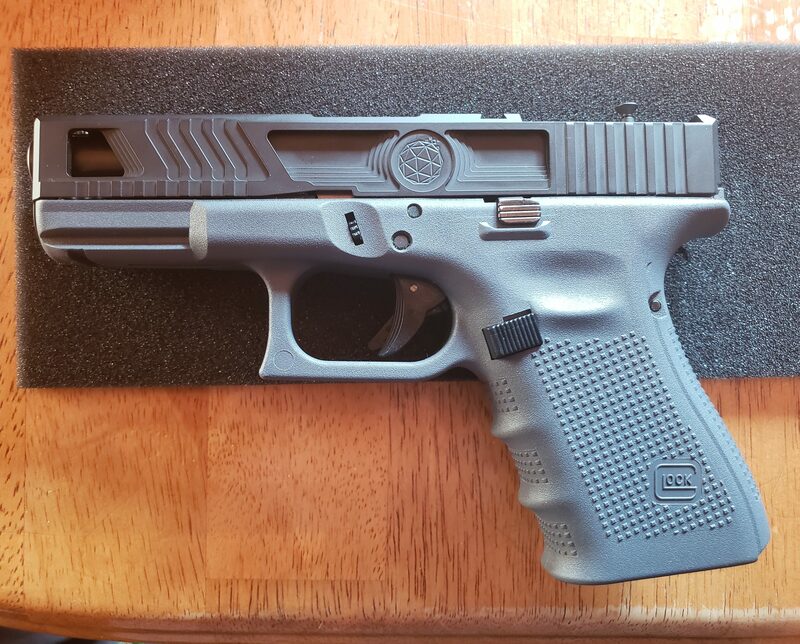 I was fortunate to be able to get a new cerakoting job on my newly updated Glock slide. I went with a basic cerakoting of black, and I could not be more happy with how it looks. The cerakoting came out well and everything was done well evenly. 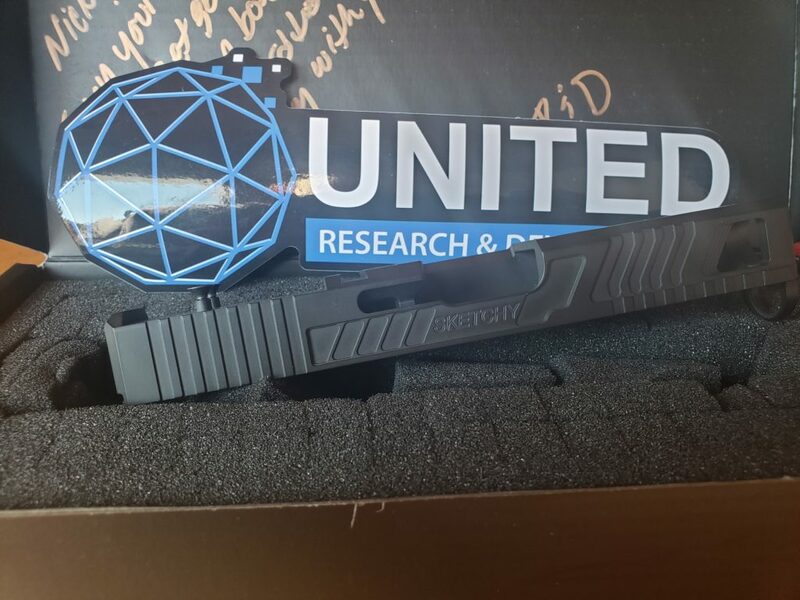 There were no spots in the slide that had more cerakote on it compared to the rest, and that proved to me the level of craftsmanship that United has is top notch. Rear sight moved in front of the red dot. When it comes to my final thoughts on what this company has to offer to its customers, there is a lot of positive input that I would have to offer to my readers. Like I said at the beginning of this article, I was never really into the whole, “Gucci Glock,” lifestyle. It was something that I never really saw myself committing too. Being able to deal with a company that offered this amount of craftsmanship and professionalism, gave me a form of relief. I was able to appreciate this style of Glocks a lot more than what I was used to. The functionality of the Glock was not sacrificed, and the quality of the pistol greatly increased due to this work. 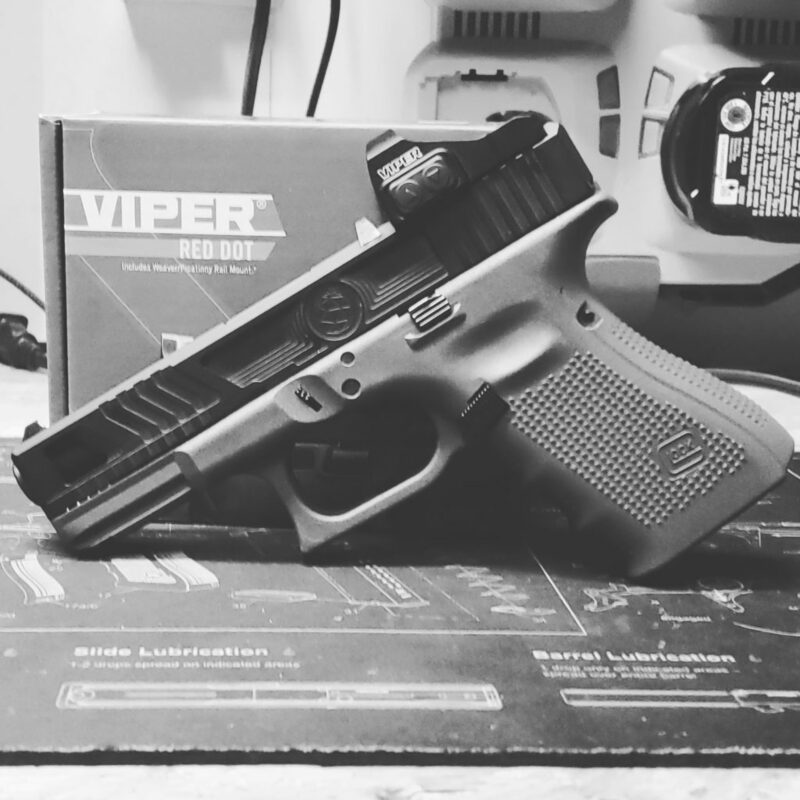 When it comes to this company, I would say that any individual looking into getting a slide cut for their pistol to look into this company, and look over the work that they had offered too many individuals before me.